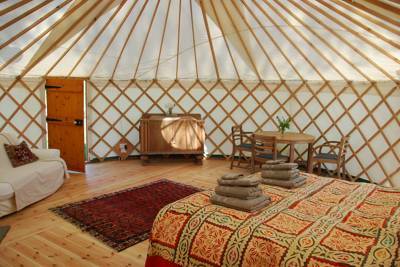 Can accommodate 1 tent for up to 6 people. 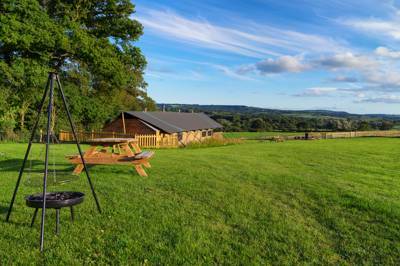 Back-to-nature, environmentally-friendly camping with great views over countryside to the sea. Tucked away along winding, hidden country lanes, Brig’s Farm offers real back-to-nature, wild camping at its simplest. 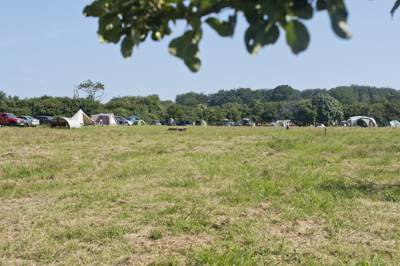 Little more than a beautifully-located field dotted with apple trees and surrounded by woodland, the campsite has stunning southward views over rolling countryside towards the Jurassic coast, just a few miles away. 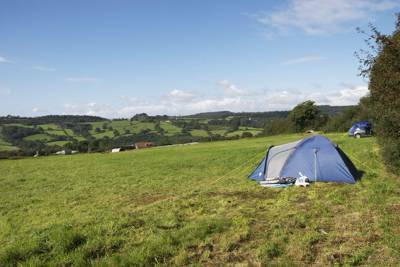 There are no marked pitches or electrical hook-ups here – you just pick your favourite spot and set up camp. Most people head up to the top of the sloping field, where they can tuck in beside the woodland and enjoy the best of the views. 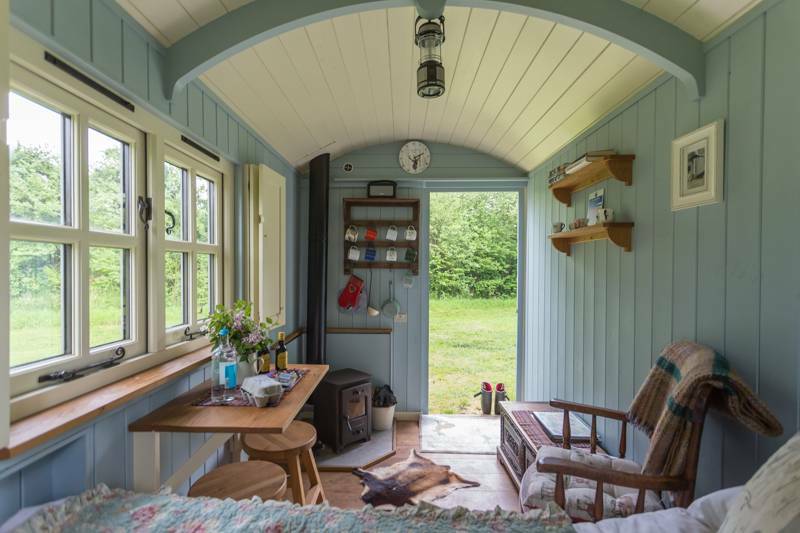 It’s a relaxed and informal site, run by the laid-back Mew, who farms the 12-acre small-holding according to organic principals and is building his own eco-friendly house in one corner of the site. 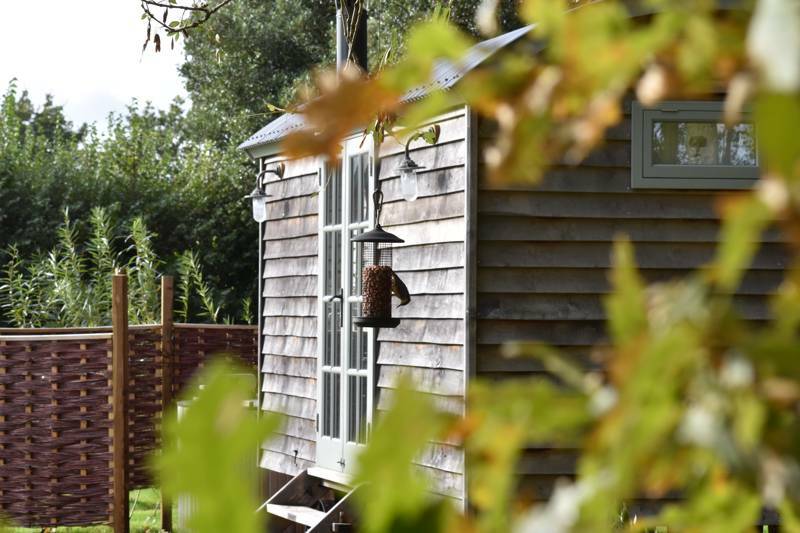 The campsite’s eco-footprint is low, with compost toilets and its own running spring water. There’s also a wooden swing and a trampoline for the kids. Campfires and families are welcome and on Friday nights the brick-built wood-fired pizza oven is fired-up for Mew’s home-made pizza and salad nights. However the real joy of this site is its location, with fantastic footpaths on its doorstep, winding through bucolic landscapes and quiet, hilly country lanes for cyclists to explore. Approaching the site, you feel like you are zig-zagging uphill into the middle-of-nowhere. But it’s actually only a short drive or cycle (though the route back is steeply uphill!) down to the beach at Charmouth where fossil-hunting and swimming on the beach are popular activities. The arty and foodie town of Lyme Regis is also nearby. Seasoned campers and children will particularly enjoy the get-away-from-it-all atmosphere here. With few facilities, Brig’s Farm is a calm, tranquil spot with a slow pace of life. It's the perfect escape from the tyranny of the x-box and internet, where the kids can climb trees, build campfires and roam free. 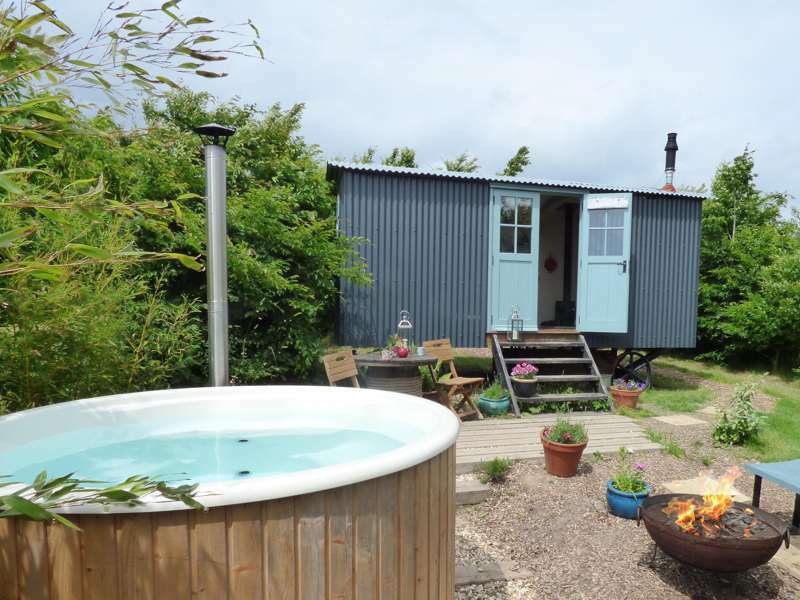 Brigs Farm is a 12 acre small-holding nestled in the hills 2 miles from the Jurassic Coast in the far corner of West Dorset. It is a truly beautiful area full of winding hedge-rowed lanes and public footpaths. Charmouth, famous for its fossils, is only 2 miles away and Lyme Regis is close too. I aim to provide a less formal campsite where well-behaved dogs are welcome and you can enjoy a campfire and sea views. There are compost toilets and free showers. The campsite is for the sole use of tents and small campervans ( VW T series, Transits etc.). I'm afraid I do not allow caravans or motorhomes. For latest availability and best prices for Brig's Farm, please use the Date Search above. Campfires allowed. The free portable showers are clean and high-pressure and there are 4 compost toilets. No marked pitches or electrical hook-ups. Facilities are few: there’s no shop or café, but you can buy firewood for campfires and home-grown veg and eggs when available. The site can get very muddy when it rains so bring your wellies. Fossil-hunting in nearby Charmouth is a great activity for children and adults alike. Book onto one the fascinating and informative two-hour tours led by the wardens at The Charmouth Heritage Centre on Charmouth beach and you’ll be amazed by what you can find lying around you (adults £7, children £3; 01297 560772). Wood-fired pizzas are available on site on Fridays (weather permitting) and BBQs, hog roasts and more are available by prior arrangement. A traditional sixteenth-century village pub, The Bottle Inn in nearby Marshwood (01297 678484) has newly re-opened and hosts the annual World Nettle-Eating Championships in July. It's become the local hub for real ale and has up to 6 ales on tap from mostly local breweries, such as Art Brew, Sunny Republic and Yeovil Ales. A range of ciders are also available. You can walk a scenic route to the Bottle (it takes just over an hour) or the campsite offers a taxi service for a small fee. Alternatively check out the thatched fourteenth-century Shave Cross Inn in Shave Cross (01308 868358): it’s got a pretty beer garden, Britain’s oldest thatched skittle alley and a highly rated restaurant serving Caribbean-style food made with local ingredients. £10 per person (over 5) per night. Children under 5 are £5 per night. Turn off the A35 at Charmouth, then head back under the A35 towards Wootton Fitzpaine. In Wootton Fitzpaine, turn left onto Meerhay Lane, then carry on into Champernhayes Lane. Look out for the campsite sign on your left. For a small fee, the campsite owner will pick you up from the nearest train station Axminster, which is on the main line to Waterloo.